As I sit down to write a short reflection about my time as a Presentation Sister in India I notice there’s a supplement to the Irish Independent (8th March 2019) on the table where I am working. It has a headline about practices to follow in order to show respect for the National flag – the flag should normally be displayed on a staff, the green being next to the staff, the white in the middle and the orange farthest from the staff. The Indian flag is very similar. 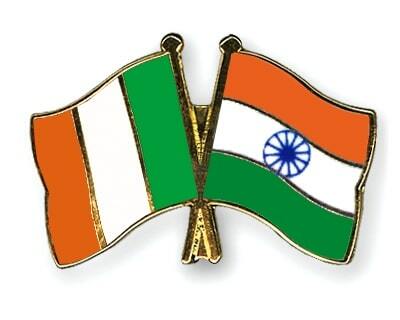 The white and green look the same while the orange in the Irish flag is replaced by saffron in the Indian one. Also, the colours are partitioned in a vertical pattern in the Republic of Ireland flag, unlike the horizontal arrangement in the Indian tricolour. These similarities reawaken for me the joy I feel in being so connected with India. In the context of celebrating St Patrick’s Day, I was reminded of a day in the 60’s in Delhi when I was quite new to India. I was sharing some information about Ireland among a group of Indian people. Having shared the usual details, one of the group responded I should also include India’s connection with Ireland and the friendship that existed during all the years leading to our countries becoming independent nations. The independence leaders Jawaharlal Nehru, in India, and Éamon de Valera, in Ireland, were said to be in touch with each other. Also, Shri V. V. Giri, who was the fourth president of India from 1969-1974, during his years in Dublin had become deeply engaged in and supportive of the Irish cause. Between 1913 and 1916 there was an influx of Indian students to Dublin to study. Many were Indian nationalists, who saw in Ireland a parallel situation to their own country. Shri V. V. Giri had been one of them. Giri has claimed that his tutor at UCD had been Thomas MacDonagh and that after the Easter Rising he was deported back home. Giri graduated from UCD School of Law and King’s Inns. But even long before the Easter Rising, there were other links between Celts and Aryans (Indo-Iranians), seen in our common Indo-European language and in words such as the Irish rí (king) which is connected to the Sanskrit raja (prince). 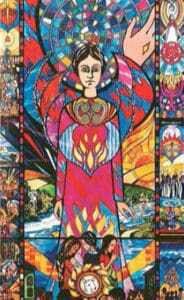 There is also evidence of connections between the Druids, the high priestly order of the Celtic culture, and the Brahmans, the high priestly order of Hinduism. With such strong cultural and historical connections my years of ministry in India were for me a time of great joy and contentment.